Work on the A27 began in 1989 when Julian Amery MP cut the first turf in Waterhall Valley. 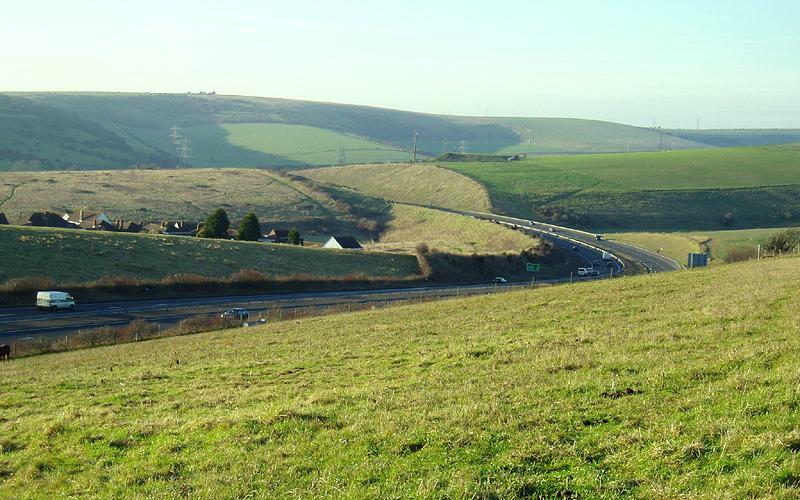 The 8.5 mile project connects the Shoreham bypass in the west to the Lewes Road in the east and consumed around 500 acres of land in its construction. Prior to the Mile Oak section being built and following a field walk survey conducted by the Brighton & Hove and Worthing Archaelogical Societies in1986/7, an archaeological team began to sample and date a series of vaguely defined field lynchets (low banks which mark the outline of fields) on the land that was soon to be covered with tarmac. A large bivallate (hilltop) enclosure was spotted during an aerial reconnaissance survey and it was this that convinced the team that they were onto something special. The London-based Field Archaeological Unit excavated by hand from August 1989 to August 1990 an oval ditched enclosure with a diameter of 35m with opposite entrances in the north-west and south-east. A female human skeleton in the foetal position and a faced upright sandstone block were found just inside the north-west entrance. Various pieces of stone, pottery, metal and animal bone were also unearthed. Mile Oak Henge is of the Neolithic/Early Bronze Age and dates back to around 2000BC. It was also discovered that following a period of disuse, three huts of the Later Bronze Age were constructed over the remains of the enclosure. In their simplest form, henges are earthworks. Their purpose is not entirely certain though a religious or ritualistic function is generally assumed. Mile Oak Henge was the first positively identified henge monument in the south-east which certainly puts Mile Oak on the archaeological map. Stonehenge is a megalithic monument also dating from about 2000BC on Salisbury Plain, Wiltshire. 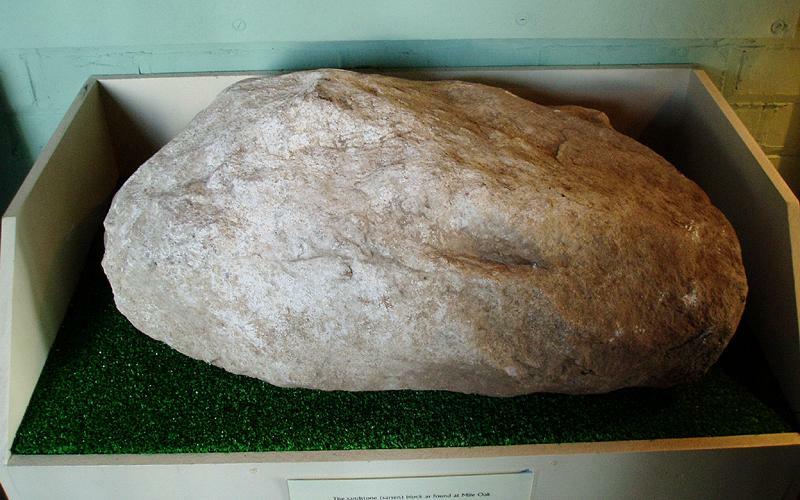 When it was in use, it consisted of a circle of 30 upright stones. Their tops were linked by lintelstones to form a continuous circle about 30m across. Within the circle was a horseshoe arrangement of trilithons (two uprights plus a lintel, set as five separate entites), and a so-called ‘altar stone’ – an upright pillar – on the axis of the horseshoe at the open, north-east end, which faces in the direction of the rising sun. For a while it was possible to see Mile Oak Henge from nearby Foredown Tower but due to the completion of the bypass, it is today only possible to drive over it.